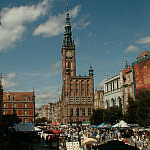 Long Market Square is an extension of Długa Street. 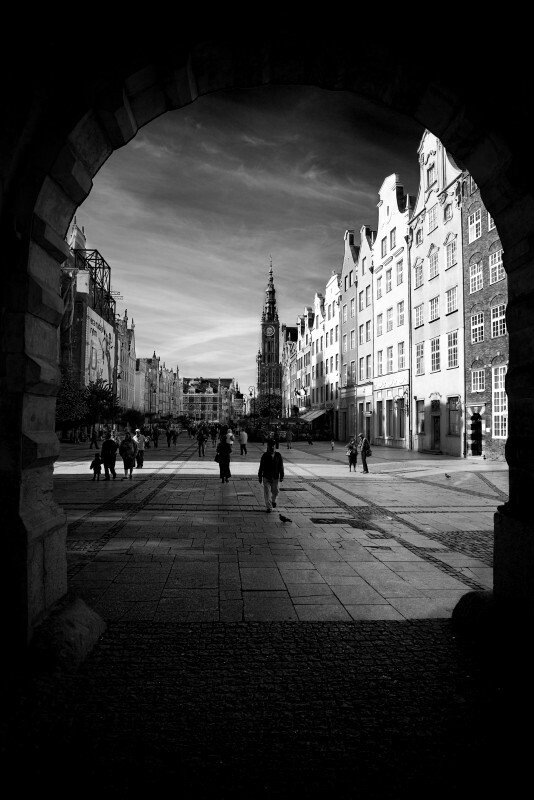 The Royal Way ends with the Green Gate. 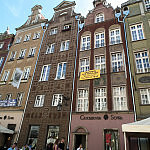 There are many cafes, pubs and restaurants in the area. 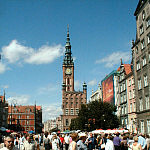 It is a meeting point popular with locals and tourist alike. 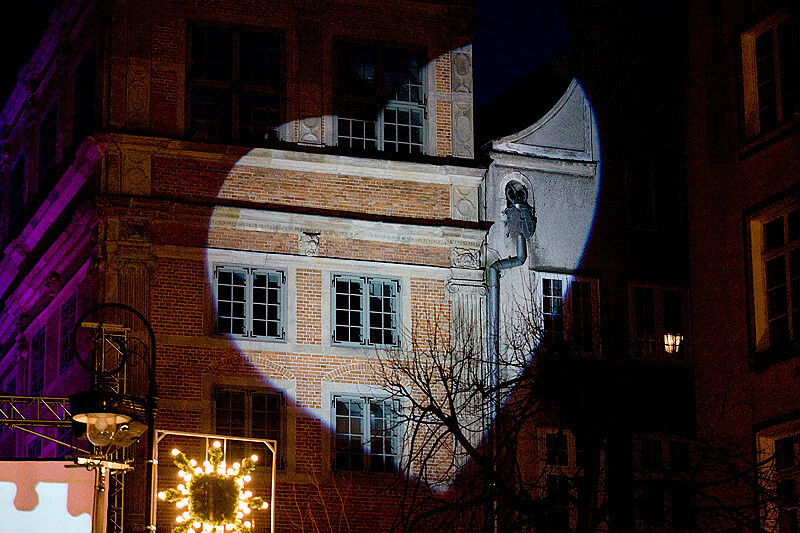 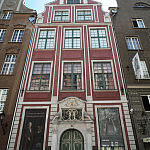 The showcase Długa Street is not quite straight, thus affording a view of the most important buildings: the Town Hall - the home of the local authorities, the post office with a reconstructed interior, the renaissance House of Ferber from 1560 and Lion Castle from 1569, as well as the House of Schuman with a statue of Zeus on the roof (now an IT centre). 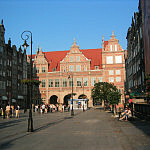 Long Market Square is an extension of Długa Street, ending with the Green Gate. 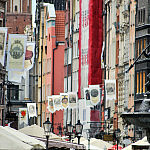 There are many cafes, pubs and restaurants in the area. 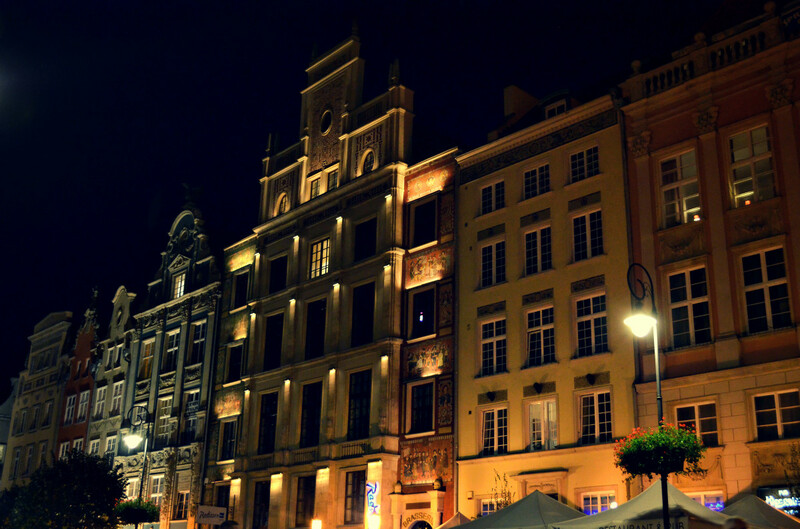 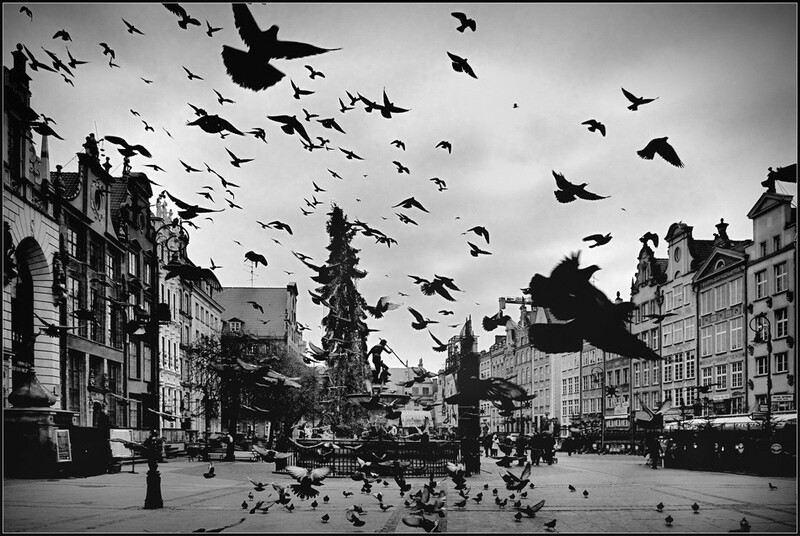 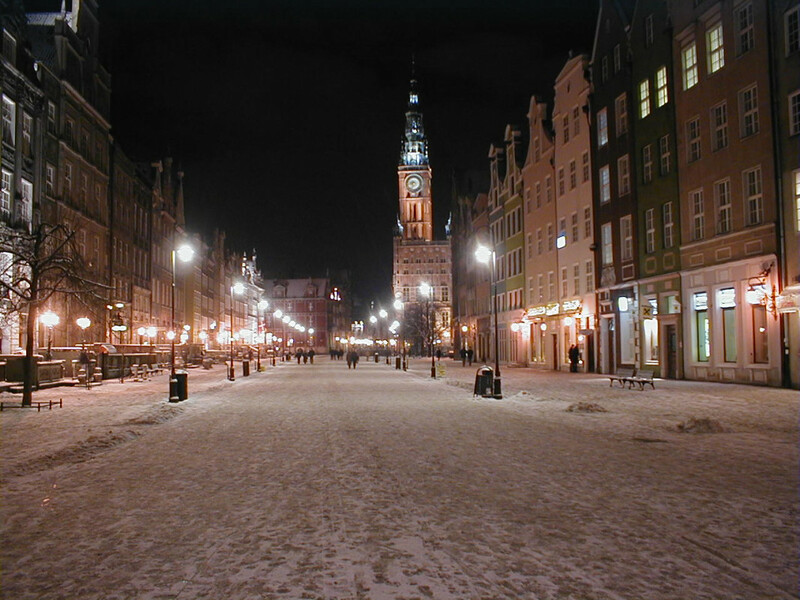 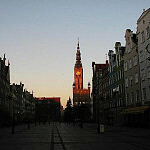 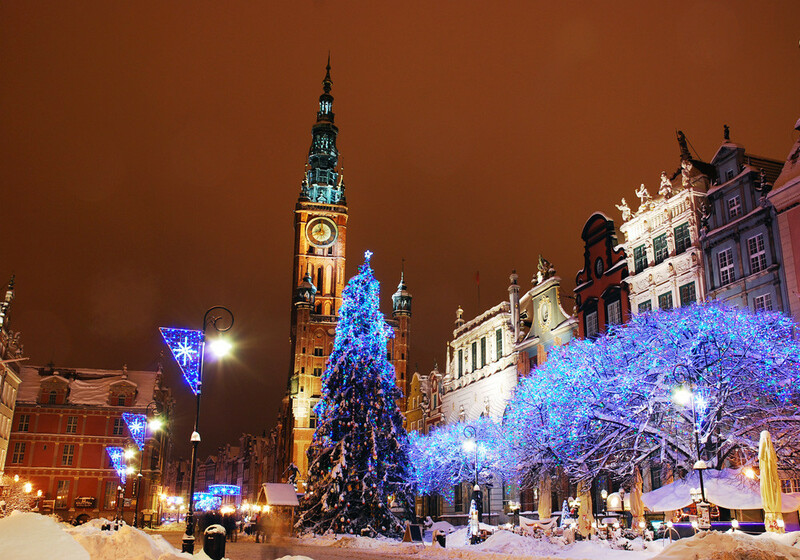 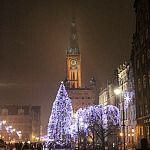 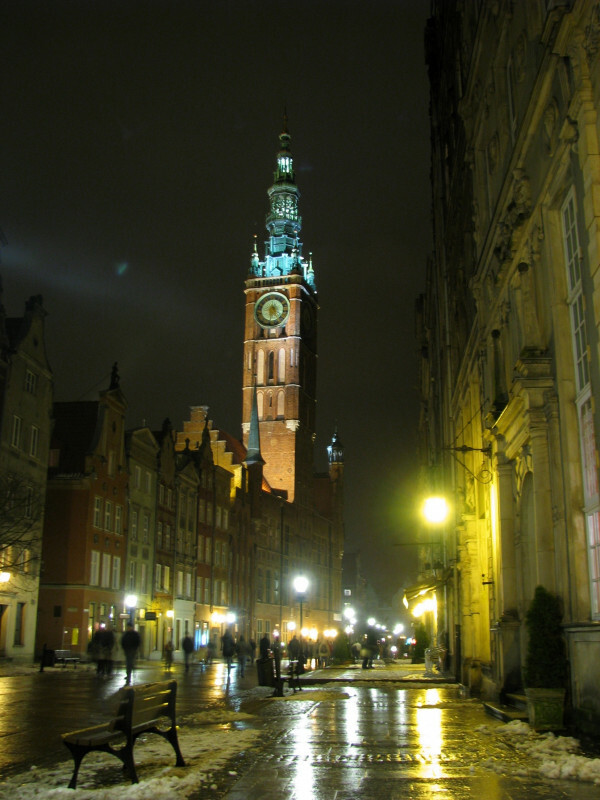 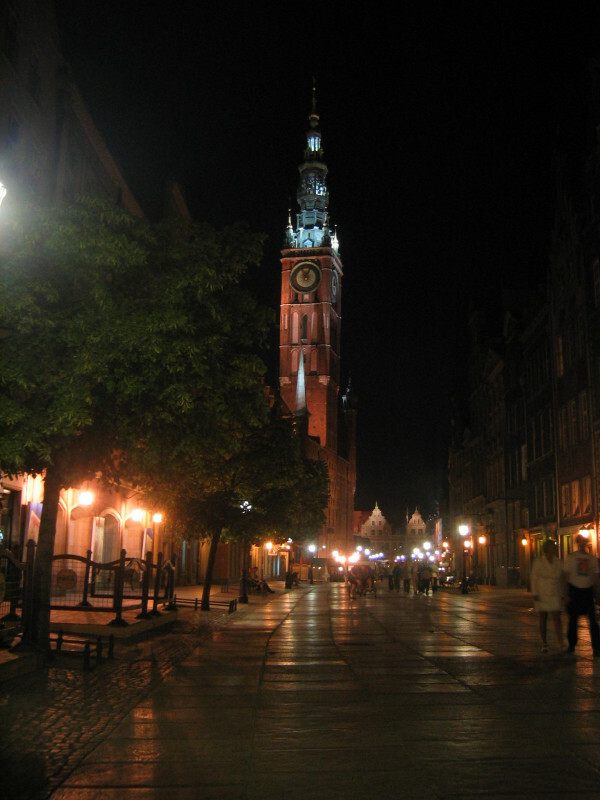 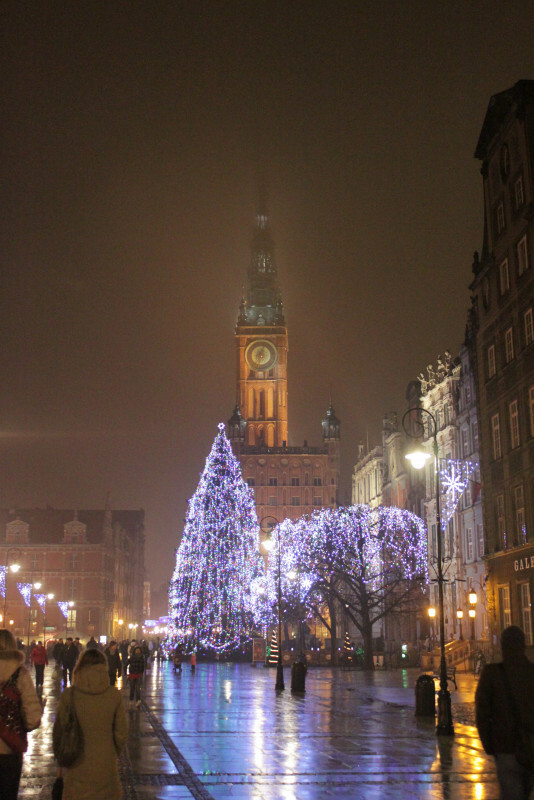 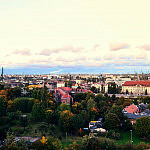 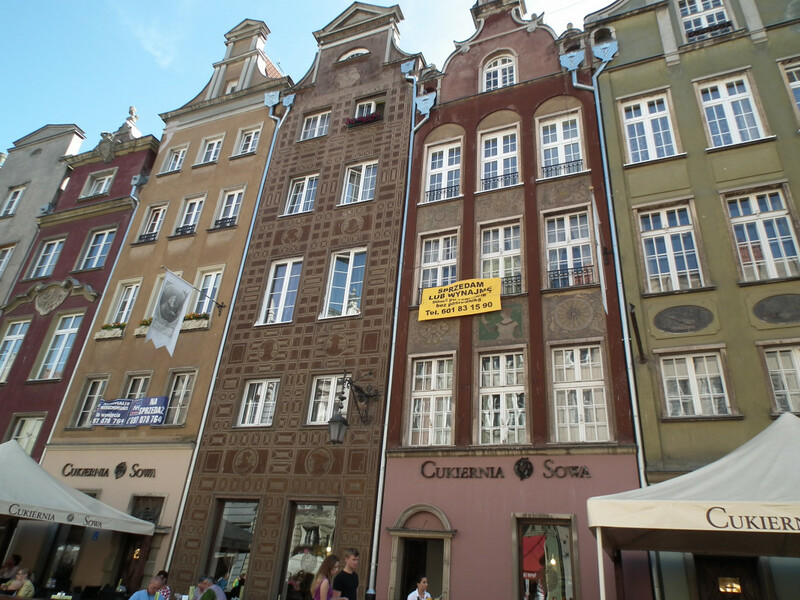 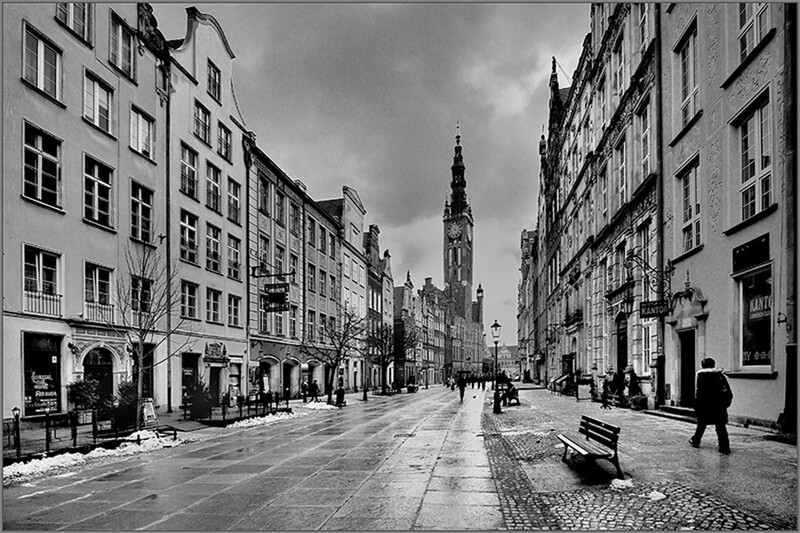 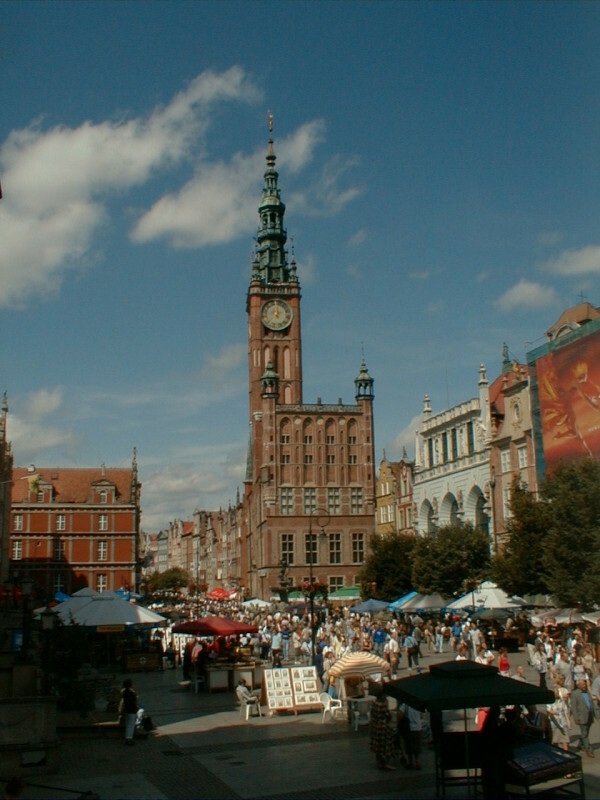 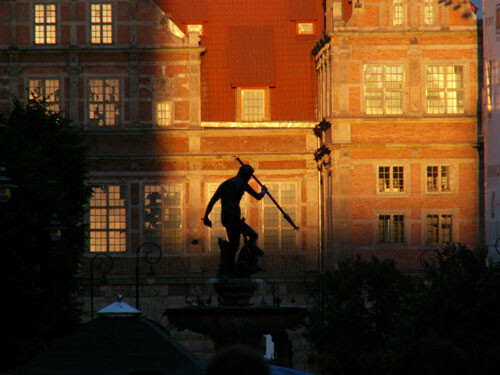 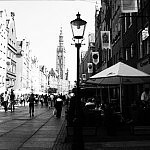 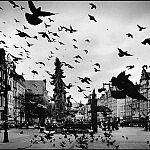 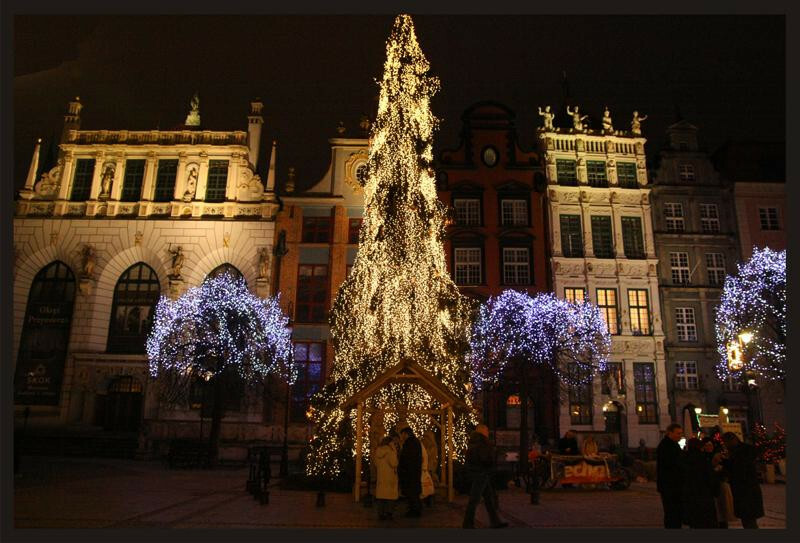 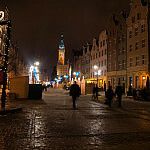 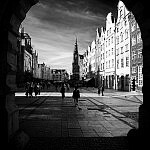 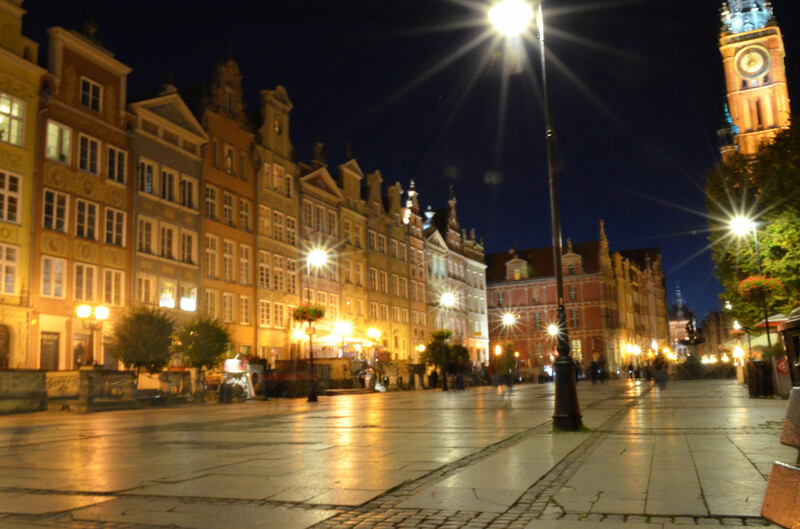 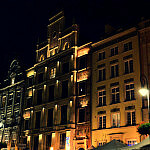 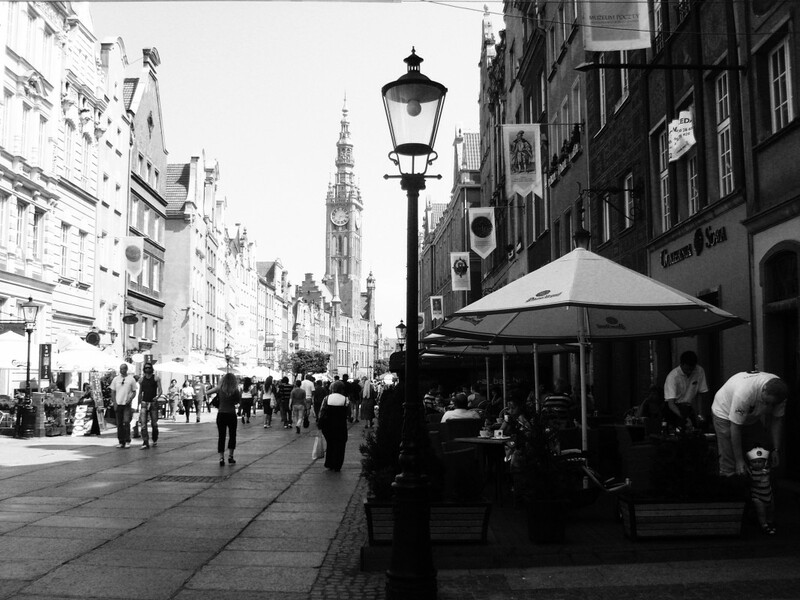 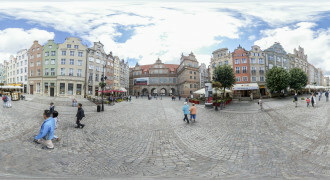 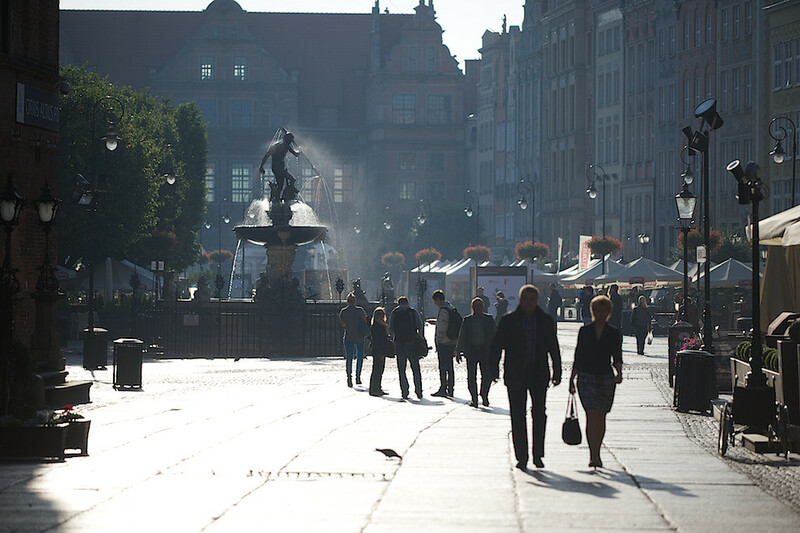 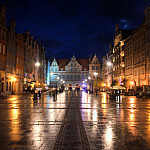 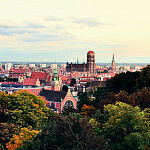 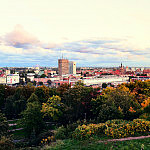 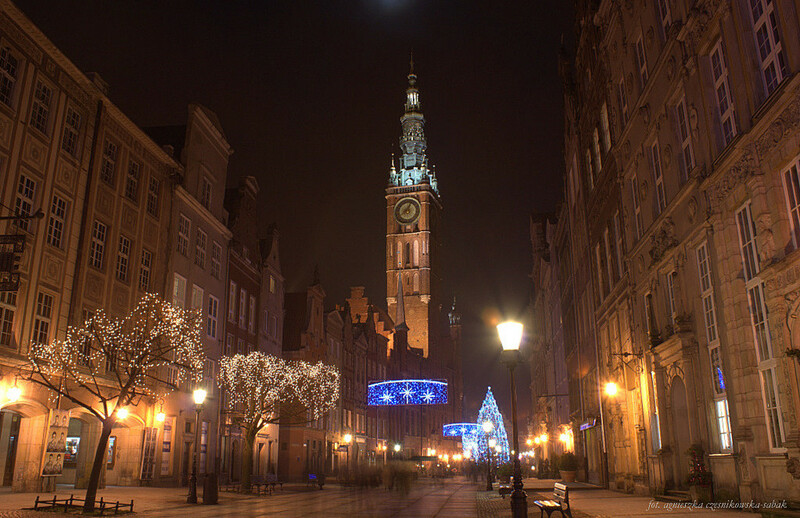 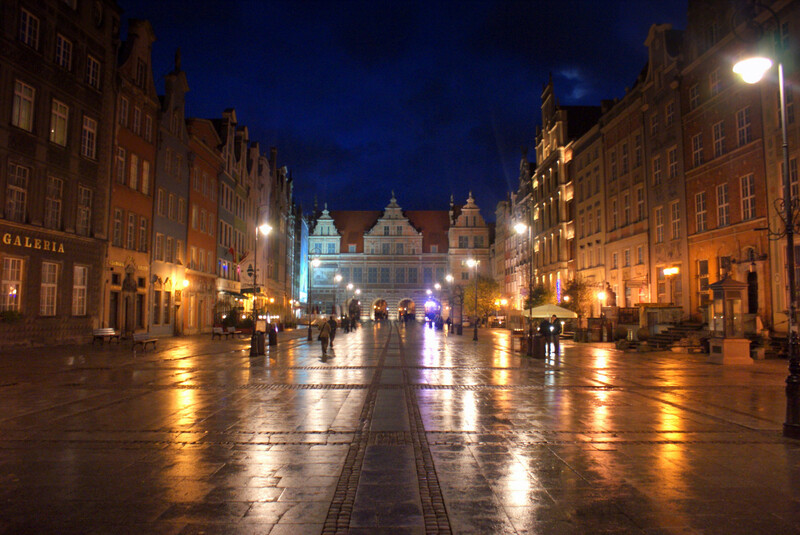 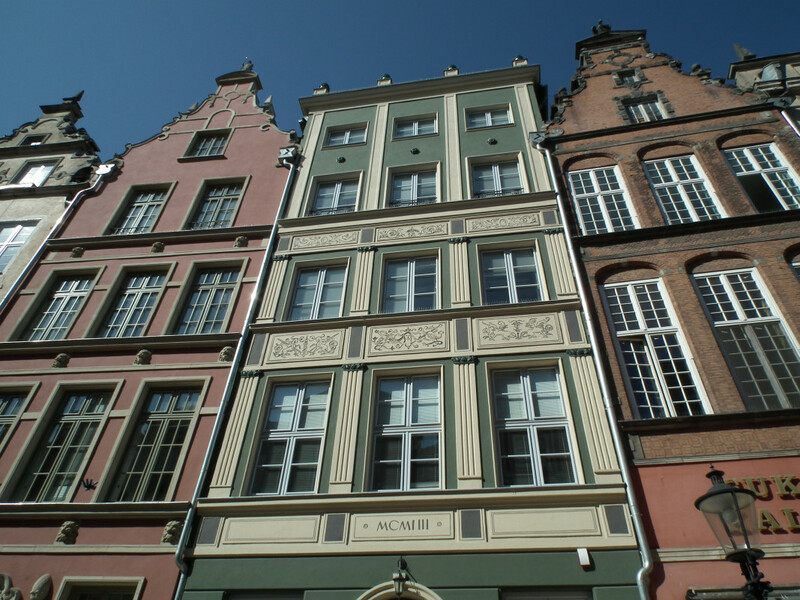 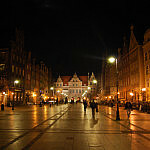 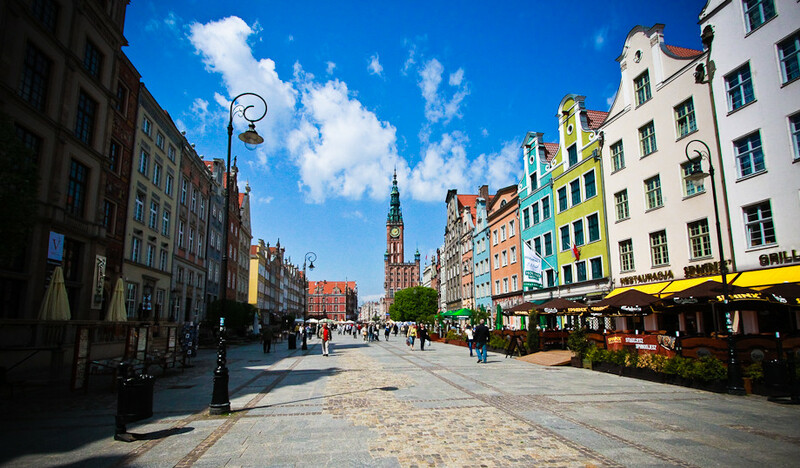 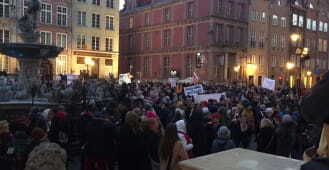 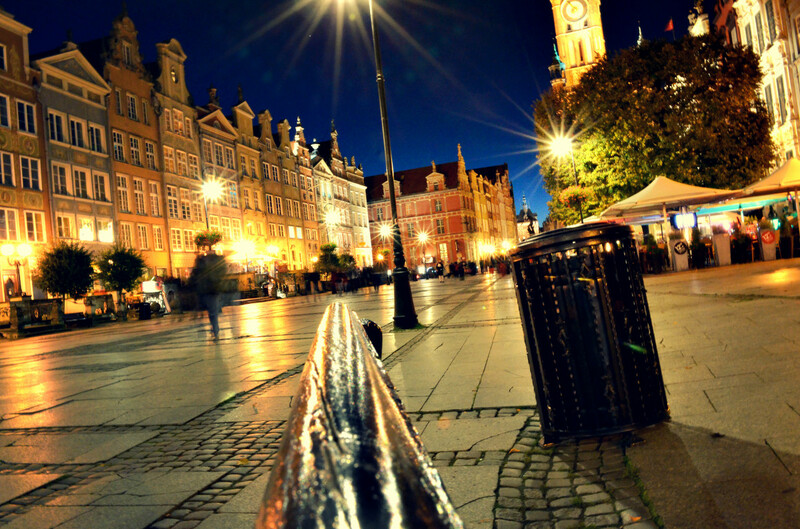 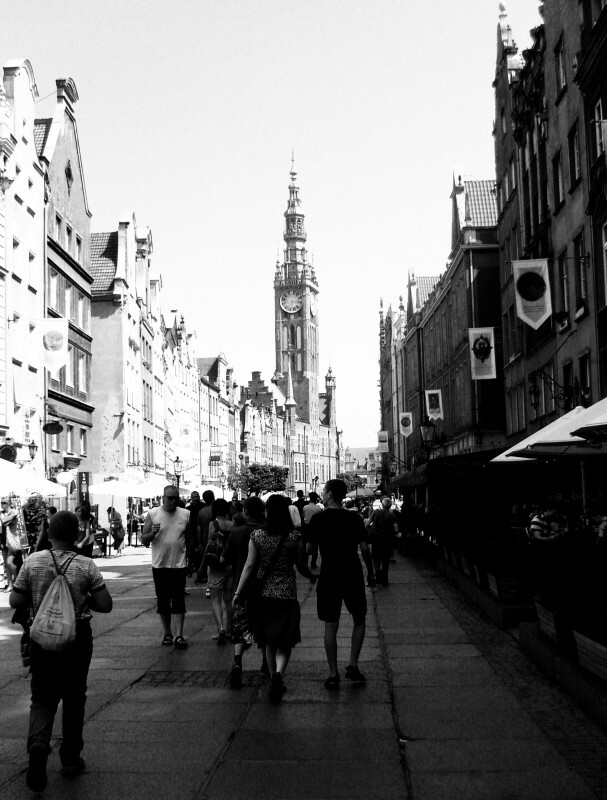 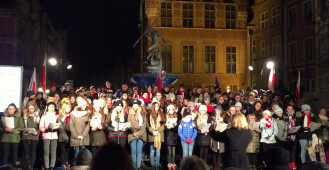 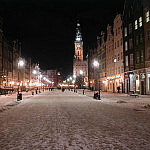 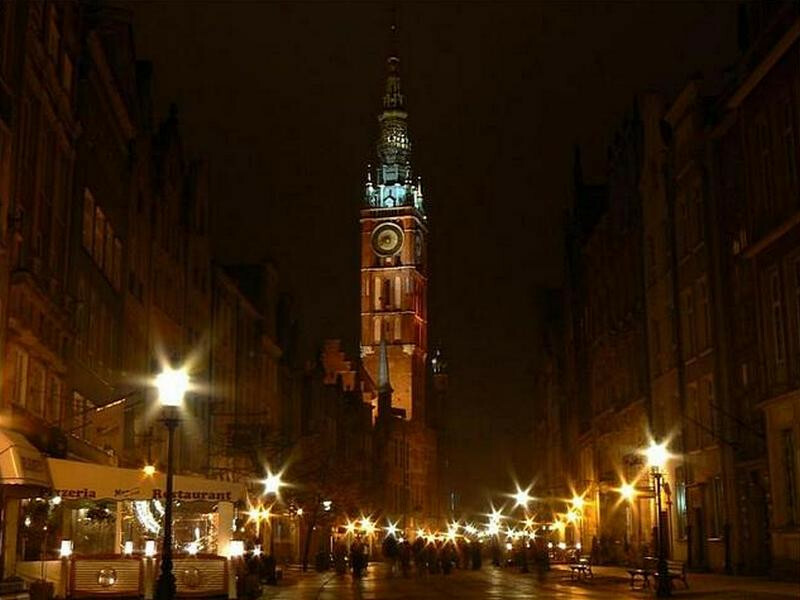 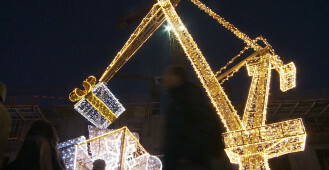 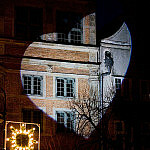 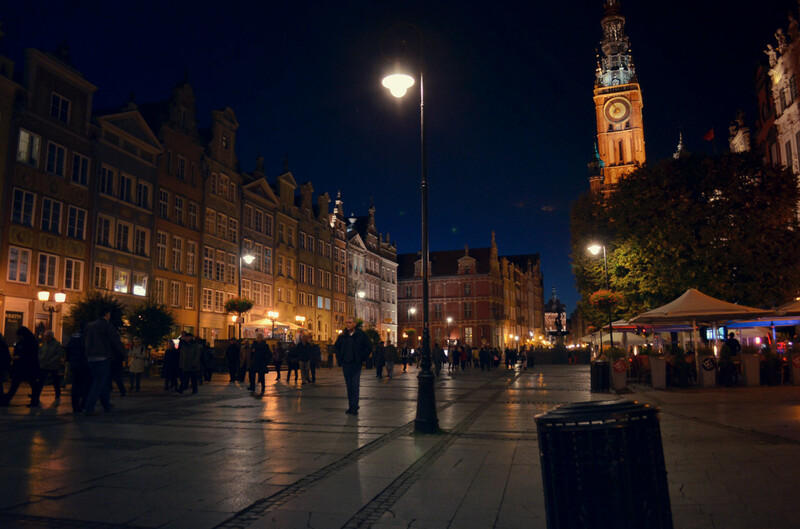 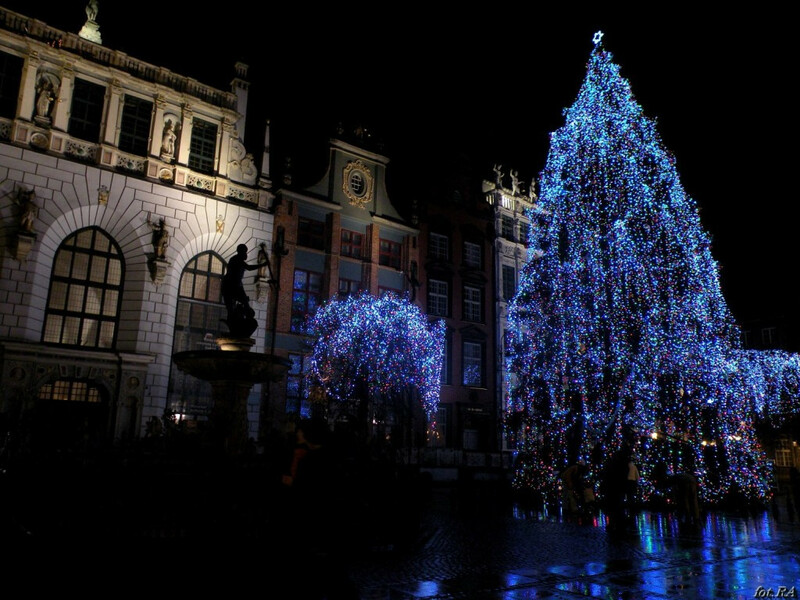 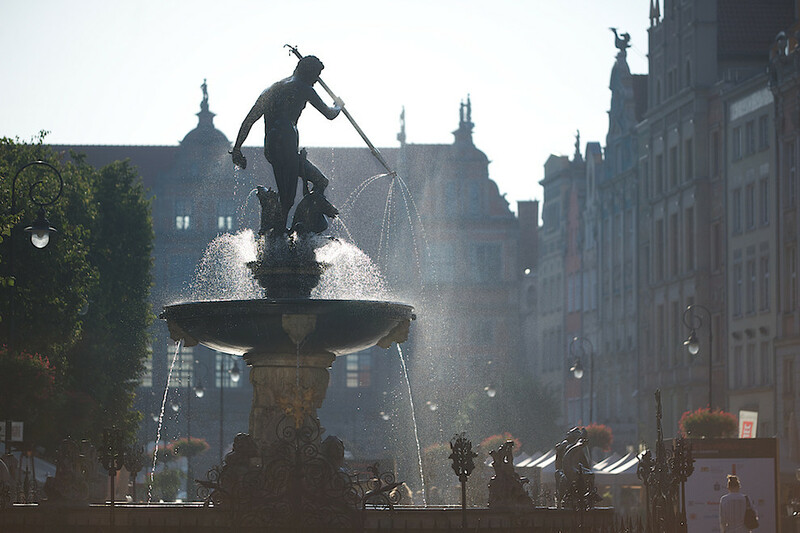 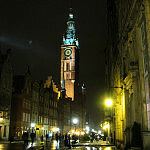 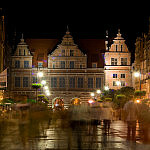 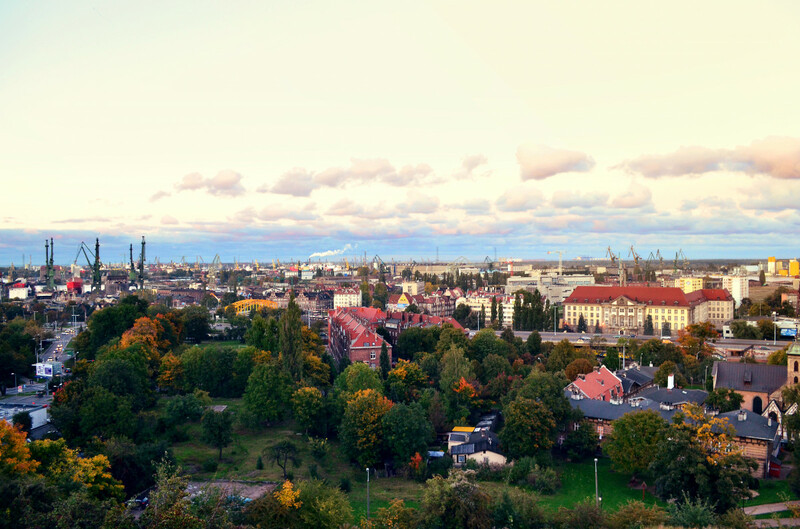 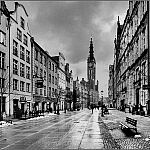 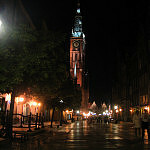 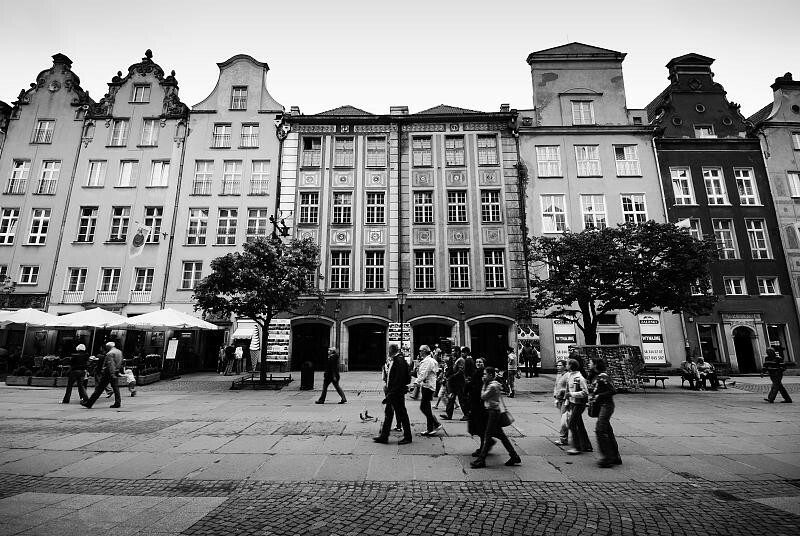 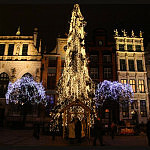 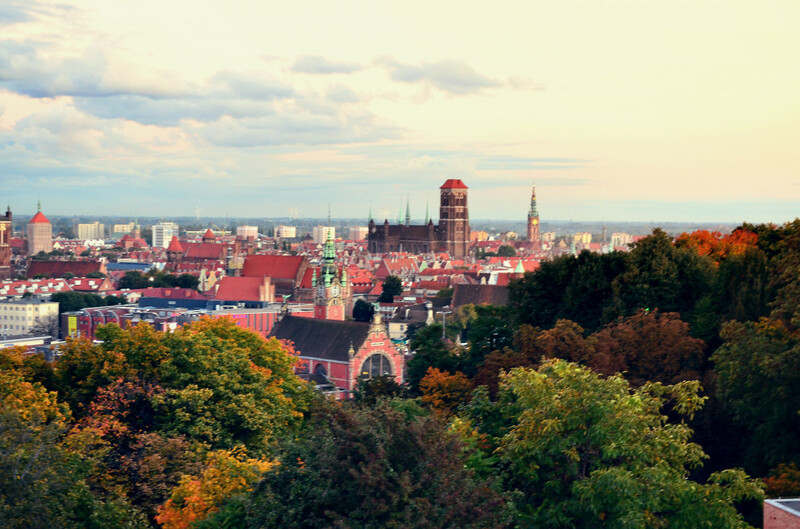 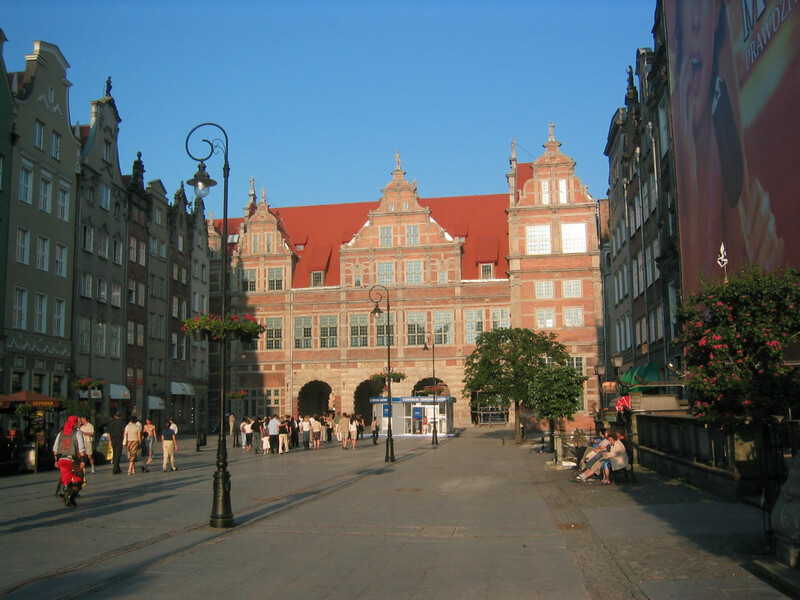 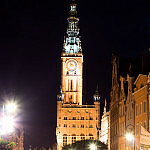 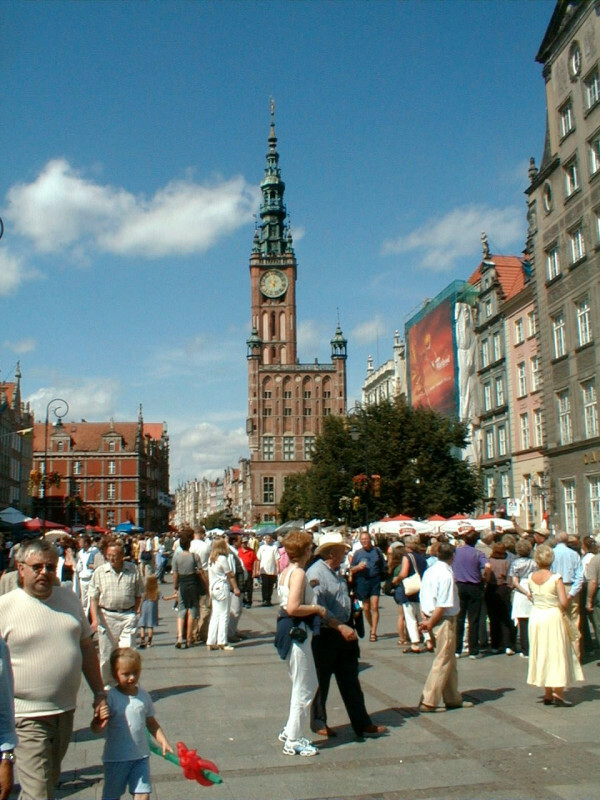 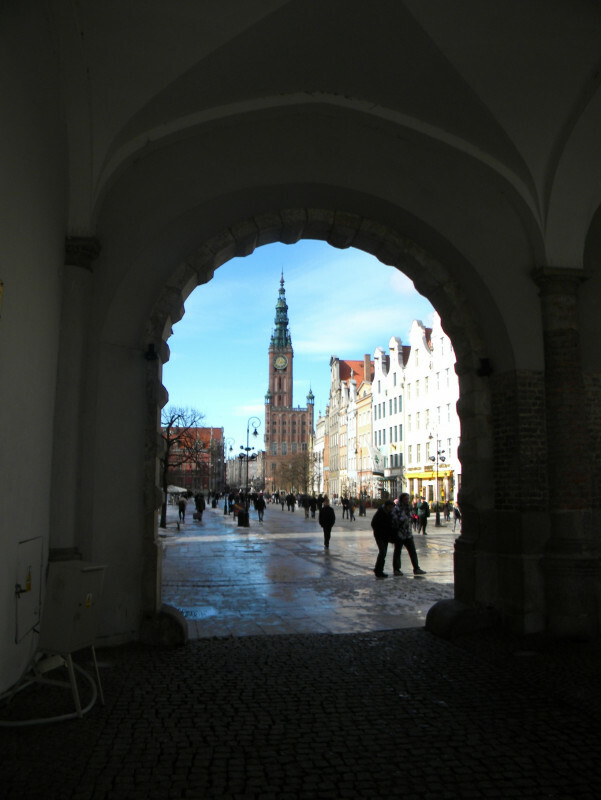 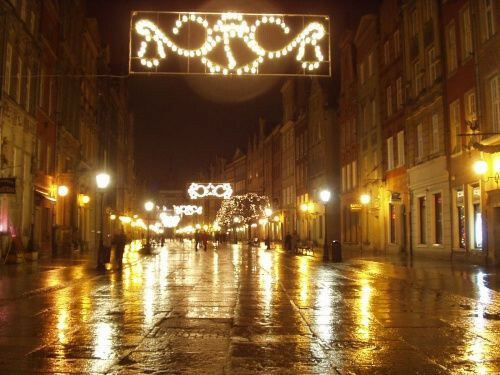 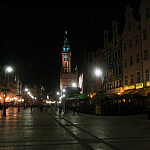 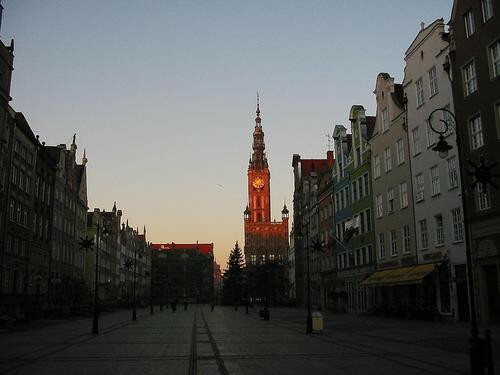 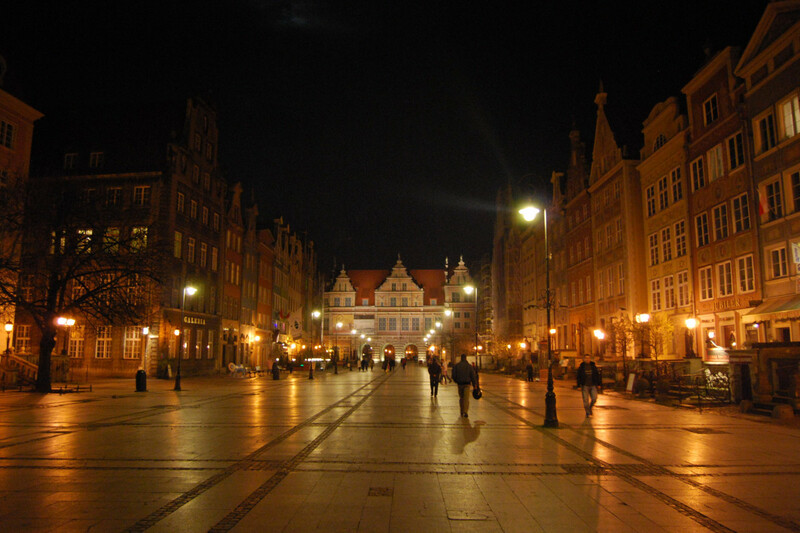 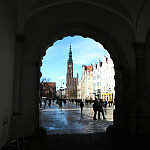 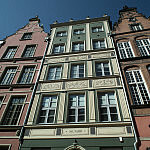 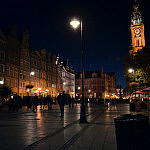 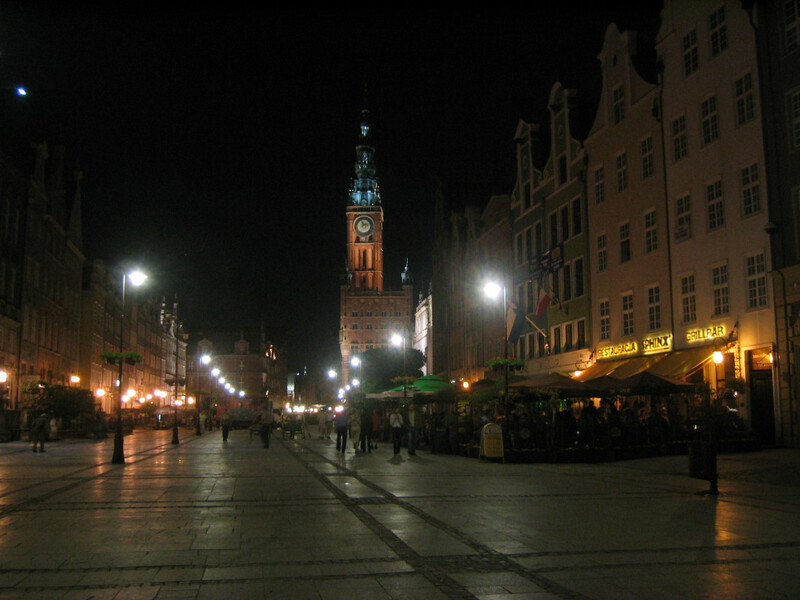 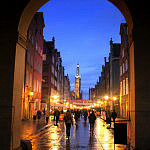 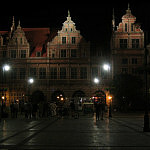 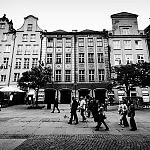 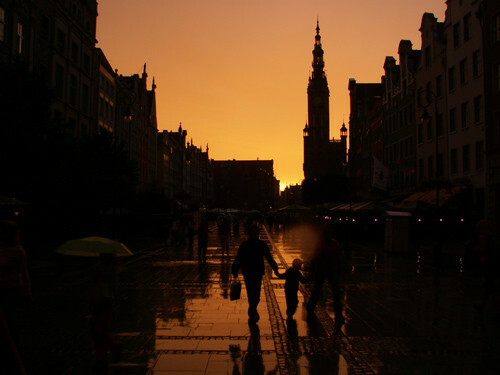 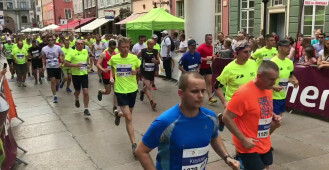 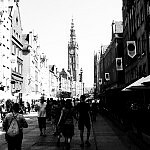 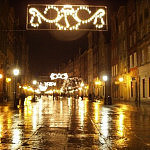 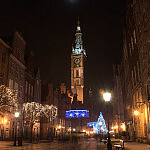 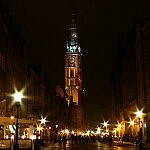 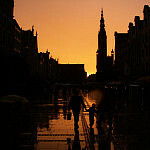 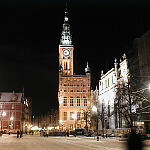 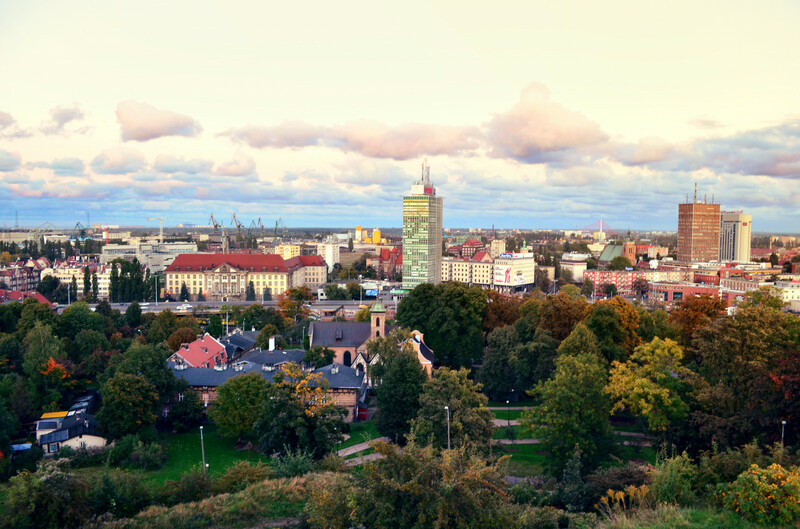 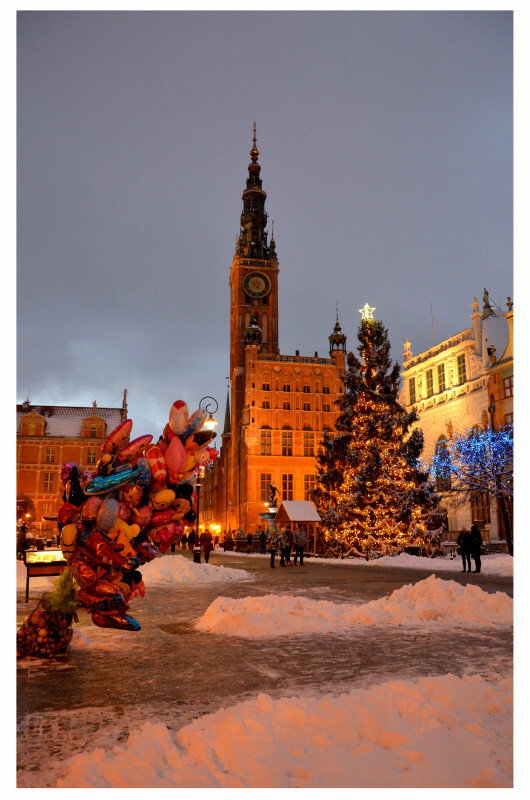 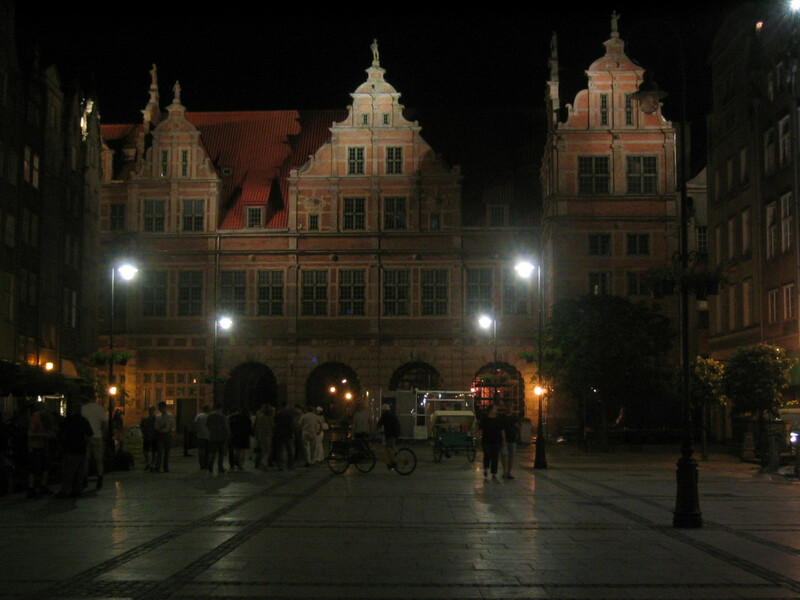 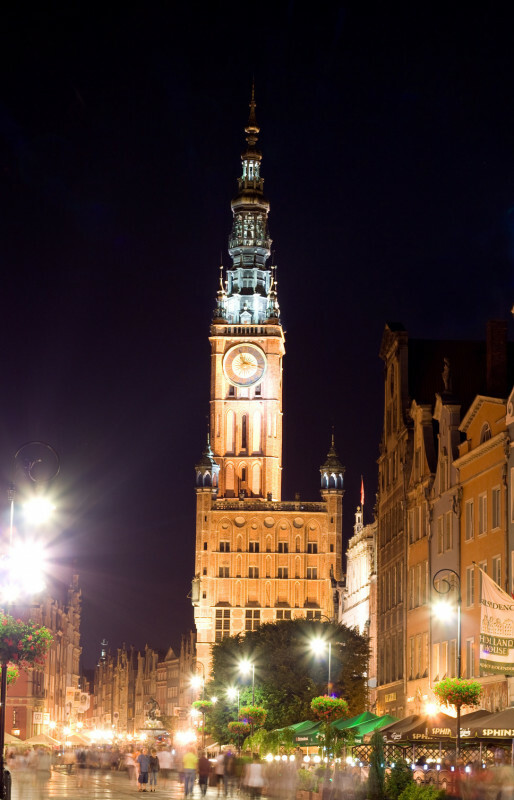 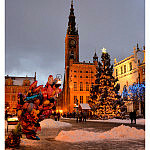 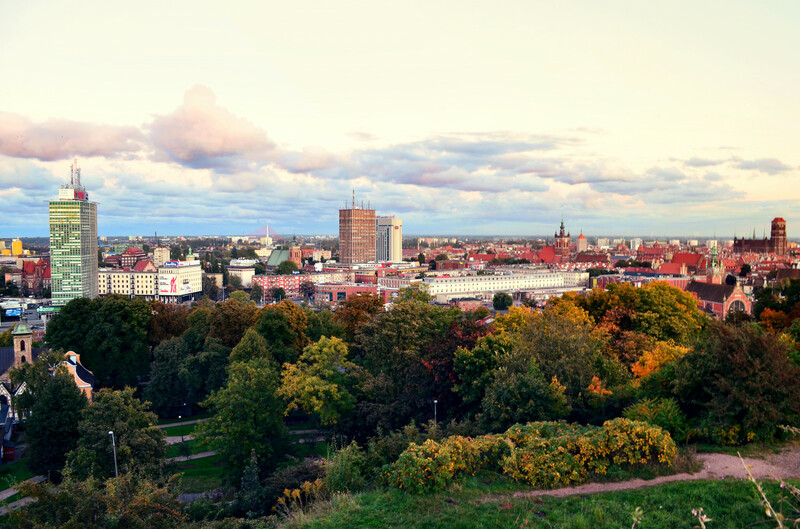 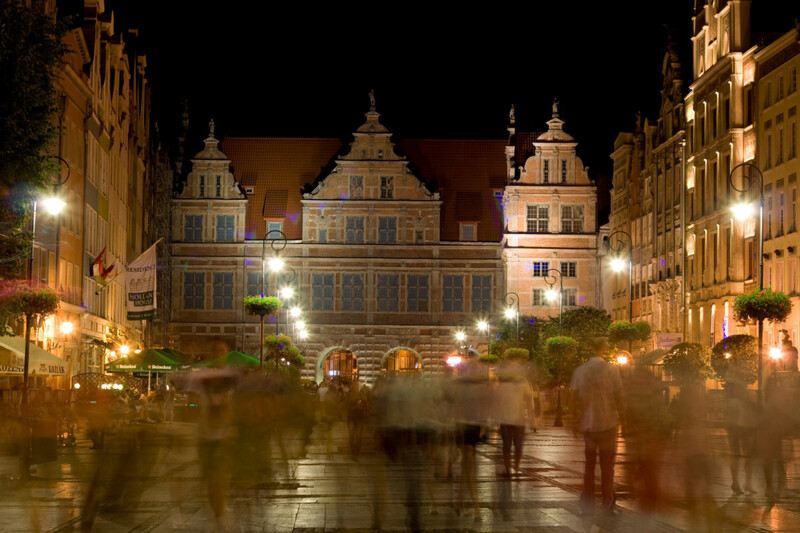 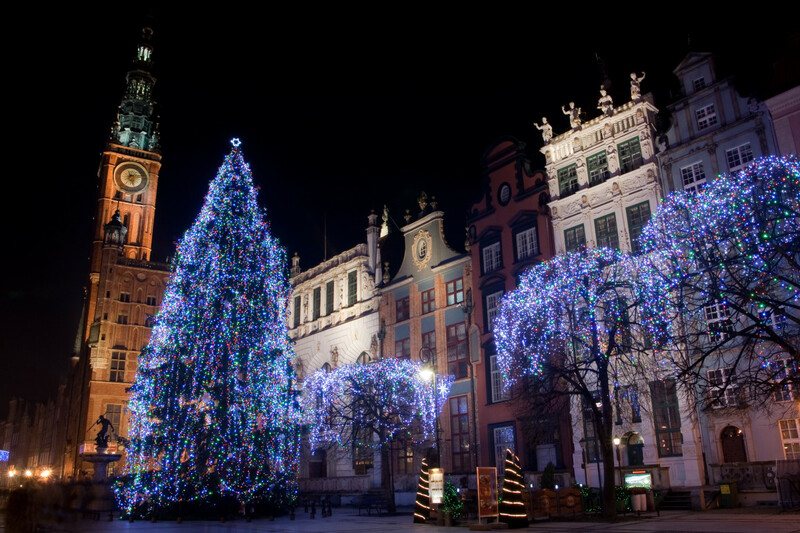 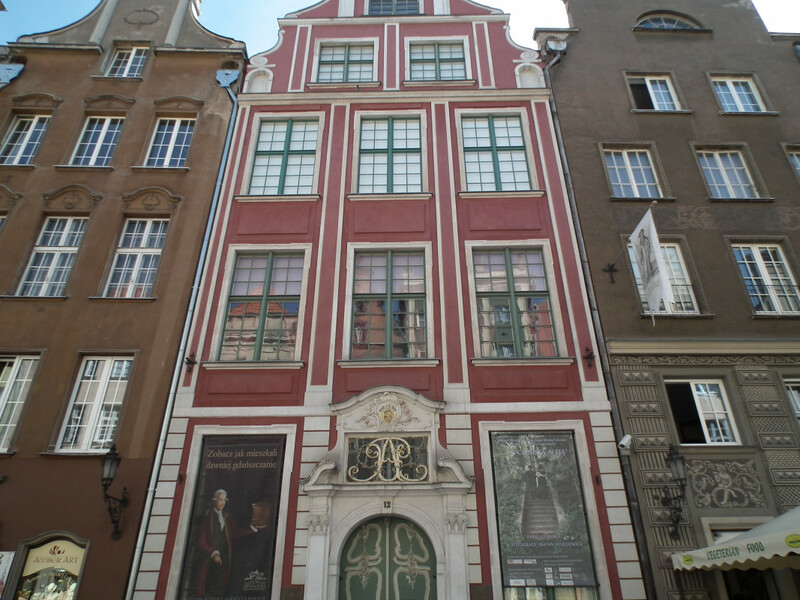 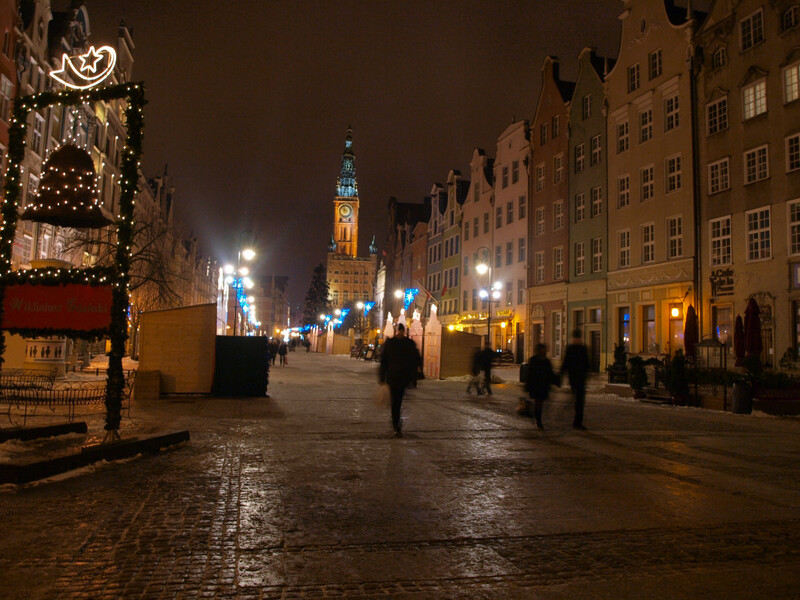 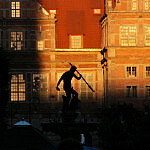 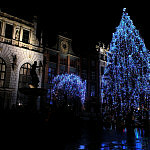 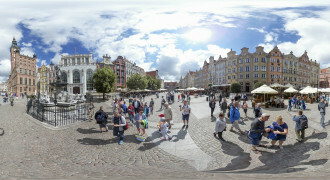 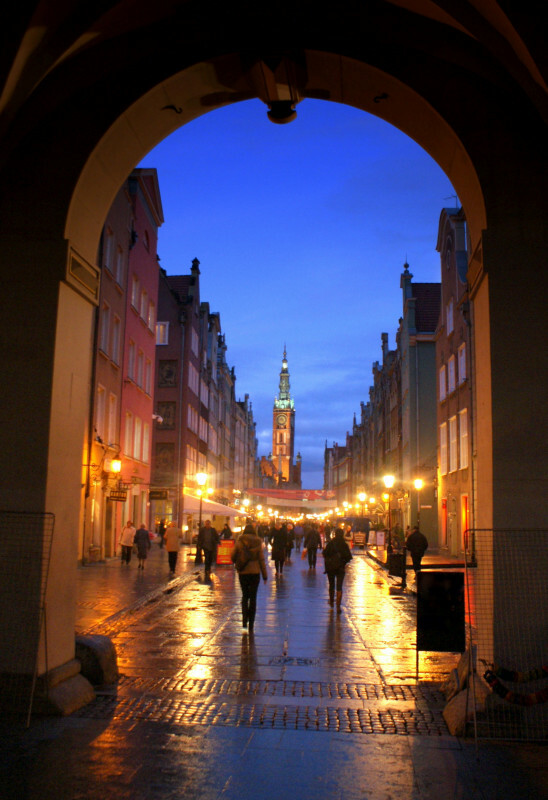 It is a meeting point popular with locals and tourist alike and so fulfills the role of Old Market Square in Gdansk. 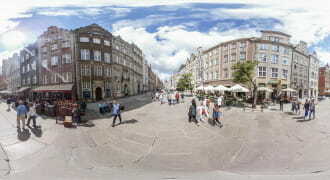 Take a look at the virtual panorama of the street and you'll feel as if you were standing there turning 360 degrees to get a view of the street from all sides.